Military veterans and their families are among the more than 95,000 Montanans who have benefited from the expansion of Medicaid. As many as 7,000 Montana veterans have gained access to quality, affordable health care through the Health and Economic Livelihood Partnership (HELP) Act. Proposals to impose strict work and reporting requirements and raise premiums for Montanans who receive health care through Medicaid will create unnecessary barriers for veterans to get the health care they need, and make it more difficult to maintain health, employment, and housing stability. Medicaid expansion has helped thousands of Montana’s veterans access health services. Efforts to kick people off their health care coverage dishonors those who have already served us. Contrary to what many assume, veterans often do not have automatic and easy access to health care provided by the Department of Veterans Affairs (VA), despite their service to our country. Not all veterans are eligible to receive health insurance through the VA and, for those who are, coverage can be limited. The VA considers several factors including length of service, service-related disabilities, income, and condition of discharge to determine eligibility and priority for covered health care services. For example, a veteran who drove a tank is classified as 10 percent disabled due to hearing loss from tank noise. The VA will provide care for hearing loss but will not cover the cost of a gall bladder surgery. Reserve or National Guard soldiers may not qualify because they are called up only for training purposes but cannot earn enough active service time to be eligible. Veterans who qualify for VA health care face challenges getting the care they need because some services are not available at all VA community centers. In Montana, there is just one VA hospital, Fort Harrison Medical Center near Helena, and 17 community-based outpatient centers dispersed across the state. In many cases, individuals may live too far from a VA center to be able to routinely get care. This is particularly true for those living in rural communities. For example, veterans typically seen at the Miles City clinic must travel six hours each way for VA services only available at the hospital at Fort Harrison. Furthermore, long-identified staffing shortages at the Fort Harrison Medical Center and outpatient centers have led to long wait times and appointment backlogs, making it even more challenging for veterans to receive timely care. 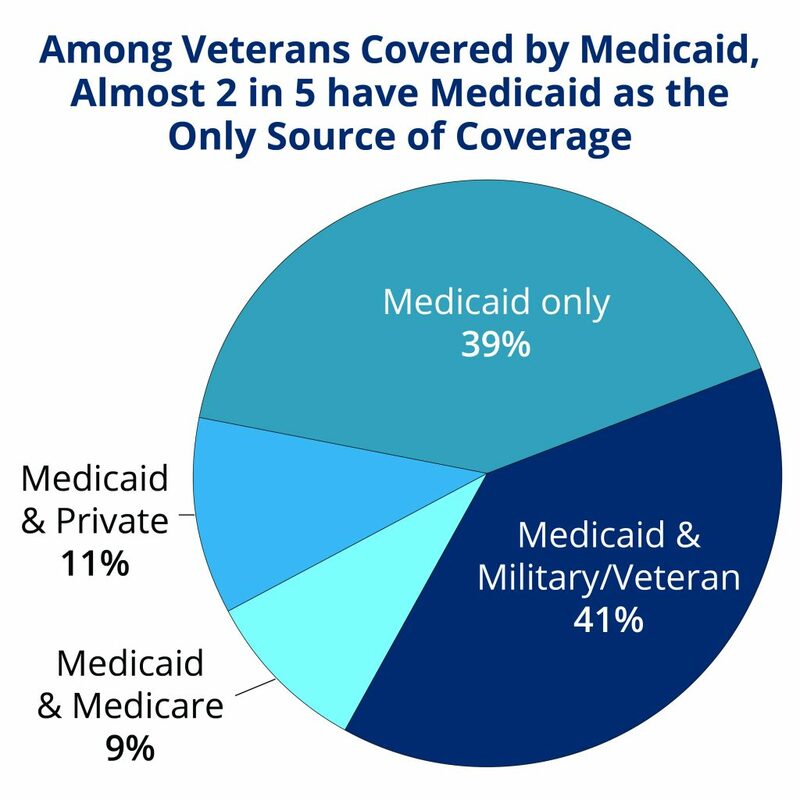 Nationally, among veterans covered by Medicaid in 2015, almost two in five have Medicaid as their only source of health coverage, while Medicaid supplements other coverage for the remaining three in five. From 2013 to 2015, Medicaid coverage of non-elderly veterans increased by almost a third in states that expanded Medicaid. Since health care reform was implemented, fewer veterans report having unmet health needs due to the cost of care and report having trouble paying medical bills. Furthermore, Medicaid provides coverage for veteran’s family members who rarely qualify for veterans benefits. In 2015, more than 660,00 veterans’ spouses were enrolled in Medicaid nationally. 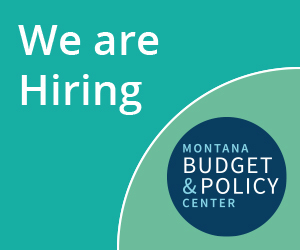 For approximately 7,000 veterans in Montana, Medicaid provides a critical source of affordable health coverage, covering many who might otherwise be uninsured and, for others, supplementing private or military health insurance. Roughly three-quarters of all Montana veterans are eligible for VA health care services but less than two-thirds are enrolled with the VA health care system in Montana, electing to access health services outside the VA system. Nationally, veterans with Medicaid coverage often have complex health needs: 42 percent have two or more chronic health conditions, 54 percent have a disability, 11 percent live with severe mental illness, and 12 percent have a substance use disorder. Although veterans with complex health needs could be eligible for exemptions from work and reporting requirements, the added bureaucratic obstacles and complex reporting systems required to prove eligibility will make it harder to navigate the health care system due to the nature of these conditions. Veterans are also more likely to experience homelessness and, while some states include limited exemptions for people experiencing homelessness, additional reporting rules will create another barrier to stable housing and employment. Imposing strict work and reporting requirements and raising premiums will make it harder for veterans to access health care. For the many veterans already facing complex health needs and housing instability, these harsh requirements and additional bureaucratic hurdles will lead to more individuals becoming uninsured, going without needed health care, or facing higher medical bills, leading to greater instability in their lives. In addition, taking Medicaid coverage away from veterans shifts a greater burden to the VA when the system is already under-resourced and short-staffed and where veterans experience months-long wait times to see a doctor. Callow, A., “Cutting Medicaid Would Hurt Veterans,” Families USA, May 2017. Riutta, O., “Medicaid Expansion and Montana Veterans,” Cover Montana, Oct. 17, 2016. US Department of Veterans Affairs, Eligibility for VA Health Care, Accessed Feb. 2019. Veterans Health Administration: VA Montana Health Care System, “Montana Veterans Demographics,” Jan. 6, 2017. Kaiser Family Foundation, “Medicaid’s Role in Covering Veterans,” June 29, 2017. Montana Veterans Health Administration, “Montana Veteran Demographics,” Jan. 6, 2017. Center on Budget and Policy Priorities, “Taking away Medicaid for not meeting work requirements harms veterans,” Dec. 14, 2018. United States Government Accountability Office, “Veterans Choice Programs: Improvements Needed to Address Access-Related Challenges as VA Plans Consolidation of its Community Care Programs,” June 2018.